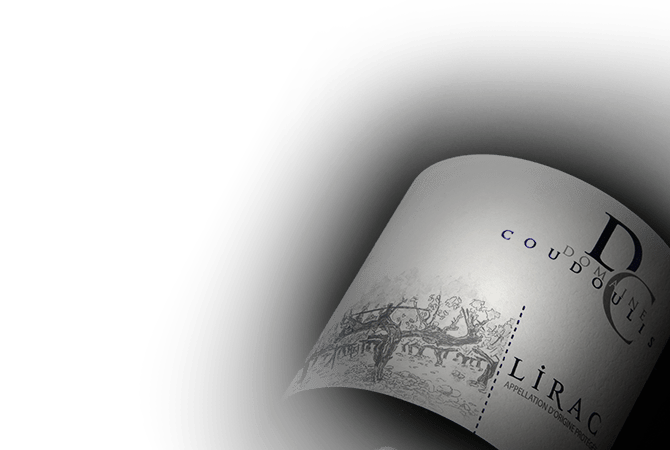 The Domaine de Coudoulis is located on a terrace with red pebbly soils, which are typical for the Lirac appellation. On 28 hectares the typical southern varieties are grown: Grenache, Syrah , Cinsault and Mourvèdre. Grapes are harvested by hand when they reach optimal ripeness. They are double-checked and very carefully destemmed before fermentation. The yield of 42 hl / ha is as low as possible to achieve the best possible quality. The Domaine Coudoulis regularly receives awards from the Wine Spectator, the Revue de France, as well as from Robert Parker.